The people have spoken! By Sunday night, our new Design & Lifestyle quarterly had been viewed over 19,000 times. 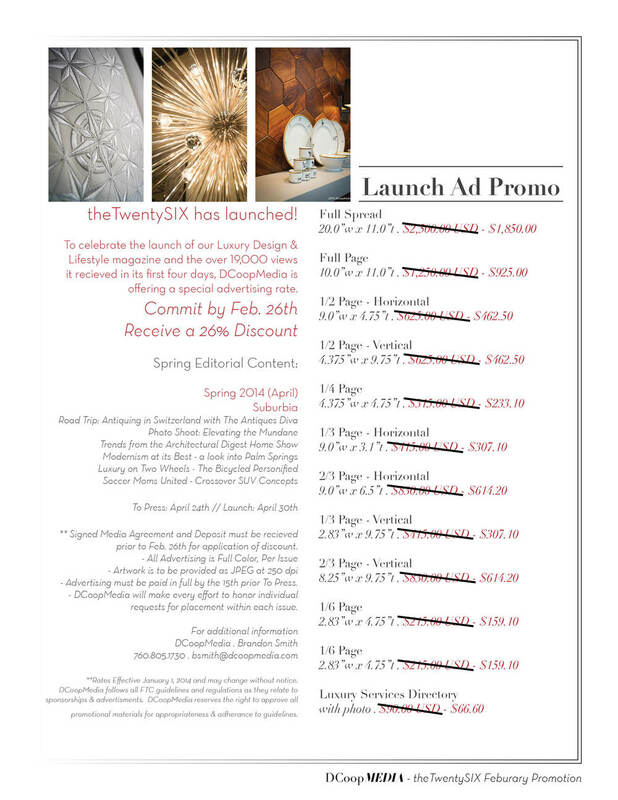 To celebrate we're offering a little February advertising promotion. Commit to any size ad before February 26th and we'll take 26% off the listed price.